« Local Man Goes to the Summit for Charity! With The Olympics and the UEFA European Championships just around the corner, there is a lot to be said for 2012’s sporting calendar. However, whilst the anticipation of the summer’s events rises, the first sporting major event of the year came to an end this weekend – the thirteenth year of rugby’s Six Nations. Pulling in an average of 4.6 million viewers, the showcasing of talent was an event that enthralled and excited, aggravated and frustrated several different players, fans and nations alike, as, once again, for the eighth time in thirteen years since its amalgamation, it was a British team that took the spoils. But, whilst Warren Gatland’s Wales reigned supreme, taking third Grand Slam victory in eight years, there were a lot of positives for every country to take from the seven-week event, producing players that lit-up the tournament, whenever they had a chance. As the firm underdogs of the tournament up until Italy’s inclusion in 2000, the Scottish team were unlucky not to win a game this year. Albeit their play is usually quite stinted, with short passes never equating to much ground made, they are always a team that will scrap their way to victory. 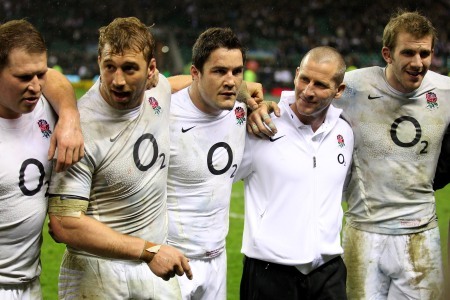 Something they proved this year after narrow defeats to France and England – two games where the result could have gone either way. With the British Lions on tour next year it is the Scottish fullback Stuart Hogg that would be most disappointed if he were to miss out on a call-up. Adding an amount of flair and panache that usually lacks in the Scottish team, Hogg’s formidable gift for running rugby is one that should, soon enough, end Scotland’s long-running losing-streak. Italy have developed in leaps and bounds over the past thirteen years. Most notably seen by their unfortunate defeat at the hands of England, after they went in at half time leading by twelve points to six, it seems that inexperience is not longer a problem. Finishing off the tournament with a (scrappy) win over Scotland, it seems only a matter of time before they start scratching more W’s on to their results board. If it weren’t for the replacement of ever-reliable kicker Kristopher Burton, the Italians would have embarrassed England in the opening weeks of the tournament, as his absence between the posts lost them the game. A face, and foot, to look out for in the future, as Italy continue look to stamp their dominance on the game. As always, the French produced some beautiful rugby. Fine lines of running, well placed kicks and monstrous tackling were all on the menu whenever Les Bleus took to the field. However, after a crippling draw with the Irish, the French team began to act accordingly, losing their tempers and, subsequently, the following two matches. Once again the French showed that they do running-rugby better than most, most poignantly proved by their new centre, Wesley Fofana. Finishing the tournament with five caps and four tries, Fofana is definitely a name that will be revered in the future, as experience will only add to his plethora of skills and talents. Ending as the tournaments top try scorers, Ireland were, once again, unfortunate not to finish higher up the table. Their dominance in the pack, despite a hiccup against England, was a constant threat, with their backs constantly tearing up opposition defences at breakneck speeds. Yes, their heyday of talent may be coming to an end, with many of the Grand Slam victors of 2009 nearing retirement, but the new wave of talent is developing in abundance, promising to be a danger to any team that comes up against them. This year, Ireland’s lucky star was shining in Tommy Bowe. Despite a questionable decision taking away a tournament-record for the winger, denying him his sixth of the year, he was always a constant threat for the opposition. With blistering pace, a fantastic chip-and-chase and marvellous covering tackles, Bowe has several years left in him to reach that try-scoring goal. Coming off the back of a disgraceful World Cup, England saw a complete turnaround in personnel. Several uncapped players graced the field in the opening game against Scotland, as England produced one of their more questionable victories. However, the weeks went by, and the nation’s wariness of the team seemed to disperse. England’s new blood fought hard against the French and the Irish, securing victories that would dismiss any uncertainty that lay there before the tournament. Yes, new boy Owen Farrell was a great asset to the team, scoring an impressive 63 points in 5 games, however it was Stuart Lancaster’s inclusion to the squad that made all of the difference. The question of who should be next England manager has surely been answered after three away wins in the tournament – a record held by no other man to take the reigns of England’s team. Another scintillating tournament from the Welsh side saw the team take their Grand Slam, after a final victory in Paris. Perhaps a bit of poetic justice following on from their dismissal at the hands of Les Bleus from the World Cup last year, however a marvellous all-round performance nonetheless. Several players have marked their desire to feature in the Lions’ tour next summer and, with Welsh coach Warren Gatland set to take the helm there, too, it would be astonishing if a lot of the Welsh players did not feature. With a powerful line-up, their backs averaging an astonishing weight of 1.92m and weighing in at 112.9kg, it was one of the smaller Welsh players that packed the most punch. 5ft 10 fullback Leigh Halfpenny is a force to be reckoned with when it comes to running, tackling and, as he proved in the dying minutes against France, kicking. Pegged as a new JPR Williams, Halfpenny was definitely one of the best things to emerge from this tournament, with his astounding talents helping the Welsh to victory in almost every aspect of their game. The tournament itself may have had some negative points; games were not as enthralling as they have been in the past, scores were not as high. But what is certain is that the progression of talent and skill is clear from all nations, proving that the annual event should not be frowned upon, but welcomed by every team looking to develop their reputation in the rugby world. Tagged England, france, ireland, Italy, Rugby, Scotland, Wales. Bookmark the permalink.